The Tide H-9 is a revolutionary glove that utilizes cutting edge technology to provide incredible grip, shock absorption, and comfort. 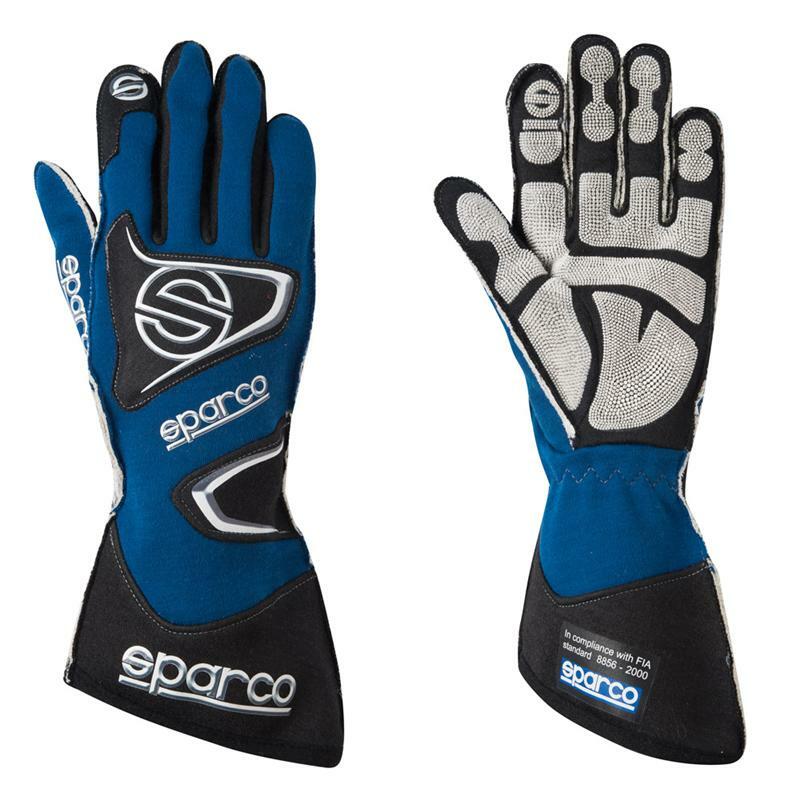 Featuring an anatomically correct palm that contours to the natural shape of the hand, the palm of the Tide H-9 glove is made from advanced 3D HTX, a Sparco-exclusive material that increases grip, absorbs vibrations and increases dexterity. The hallow volcano shape of the HTX material was specially arranged to increase durability. A padded knuckle area provides additional comfort and protection when hands are bent. External seams and an elastic wrist improves fit and comfort. Available in black, blue, red and white. The Tide is FIA approved.